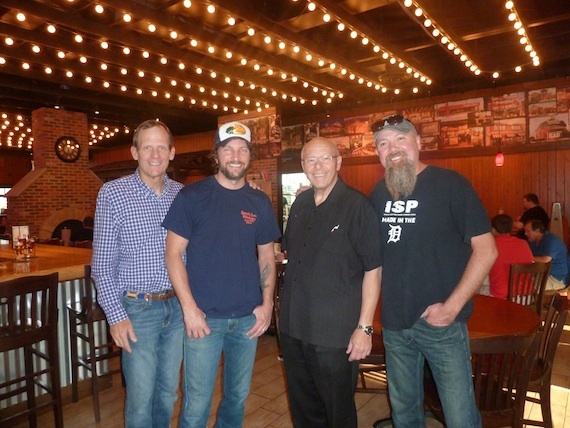 Pictured (L-R): BMI’s Dan Spears, Brandon Kinney, Famous Dave’s President & CEO Ed Rensi, Kendell Marvel. BMI partnered with Famous Dave’s recently to present the Country Songwriter Series at three of the barbeque restaurant chain’s Chicago area locations on Aug. 13-Aug. 15. 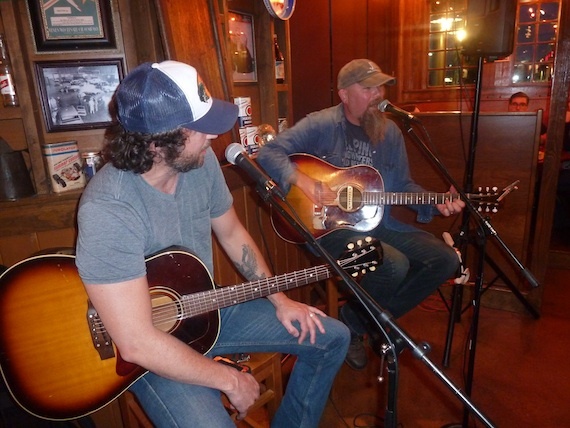 Nashville songwriters Brandon Kinney and Kendell Marvel performed their hits and told the stories behind their songs in front of packed crowds in Bolingbrook and Oswego. Marvell has penned hit songs for George Strait, Jake Owen and Gary Allan. Kinney has written chart-topping tunes for Craig Campbell, Lonestar and Randy Houser. The chain is considering rolling out the songwriter series across all of their Chicago area stores over the next few months. Pictured (L-R): Brandon Kinney and Kendell Marvell perform.